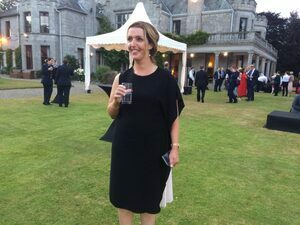 At the British ambassador’s residence Glencairn House in Leopardstown, Dublin where visiting Prince Harry and Meghan Markle were treated to a garden party, during which they met Vicky Phelan. Limerick mum-of-two Vicky was recently awarded €2.5 million in a settlement against Clinical Pathology Laboratories in Austin, Texas – which receives outsourced smear tests from Ireland. She was given an incorrect result smear test result in 2011 and subsequently diagnosed with cervical cancer in 2014. 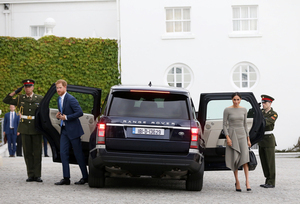 Posted in Misc and tagged Meghan Markle, Vicky Phelan at 9:56 am on July 11, 2018 by Bodger. 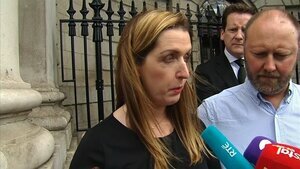 the state of the nation where our pathetic womens health treatment is what Vicky Phelan is known for. 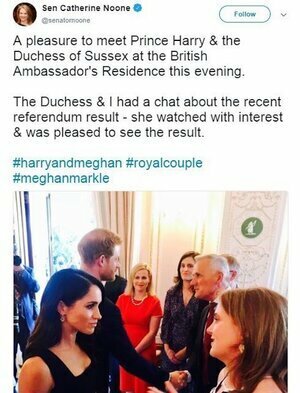 Would one be expected to curtsy to the royals, I wonder? I’d like to go at it like Teresa May just to make them super uncomfortable. Like a newborn gazelle, then topple over, still holding my drink upright. 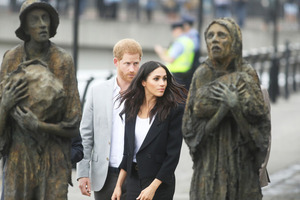 ps I’m glad Vicky was there and hope she had a lovely time. its all well and good but it’s awfully tokenistic by the government. it reeks of spin. Was it “our” scarce water that was used to get Glencairn’s lawns looking so green?